The latest xbox live statistics have been released by majornelson so we thought what better time to add our own HQ Xbox Live Statistics. On 360-Hq we track all the games our members are currently playing and can provide a list of the TOP Xbox 360 Titles our members are playing. 360-Hq now tracks all members gamercards and tracks the most played games right now. We are working on improving our site continously so please be sure to check back for even more cool xbox 360 features. If you have any suggestions for new features please be sure to get active in our forums and introduce yourself. And finally here are the most popular Xbox Live Arcade games available for the Xbox 360. For more info on the latest XBLA games please check out our games database from the links available. 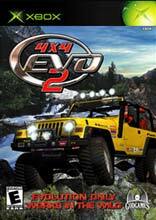 Welcome to the dirt-grinding, real world racing of 4x4 EVO 2. Off-roading in the new adventure system puts your racing skills to the test, as you explore, rescue, and compete through 3 new career mode..